Elegant and feminine tea party invitation. 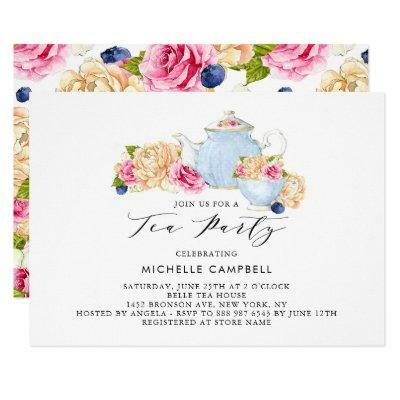 This floral tea party invitation features watercolor illustrations of teapot, teacup, ivory roses, pink roses and blueberry with floral pattern background. Perfect for tea parties, garden and spring events.